Mazal tov to Midreshet B'erot Bat Ayin, born in 1997 on Tub'Av, at the time of celebrating the rise of the feminine! 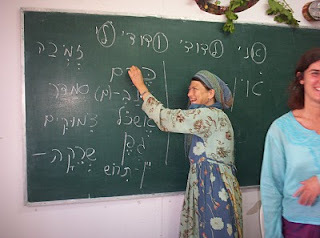 Our Midrasha is in the forefront of Jewish femininity, by building the malchut (kingdom) of the Jewish home and Land. Returning the Shechina – the Feminine Indwelling Presence to the Land, does not just happen through academic study, but rather, by getting deeply in tune with the inner world of the spirit of Israel, while developing our feminine insight and intuition. Only in the Land of Israel is it possible to link the spiritual and the material through outward expression of our creative inner potential. Following a short commentary on the haftorah I share Torah insights about the hidden feminine holiday of Tub'Av and its connection to the vision of Midreshet B'erot Bat Ayin. I wish all of you a joyous celebration and rectification of the Inner Feminine Lights! 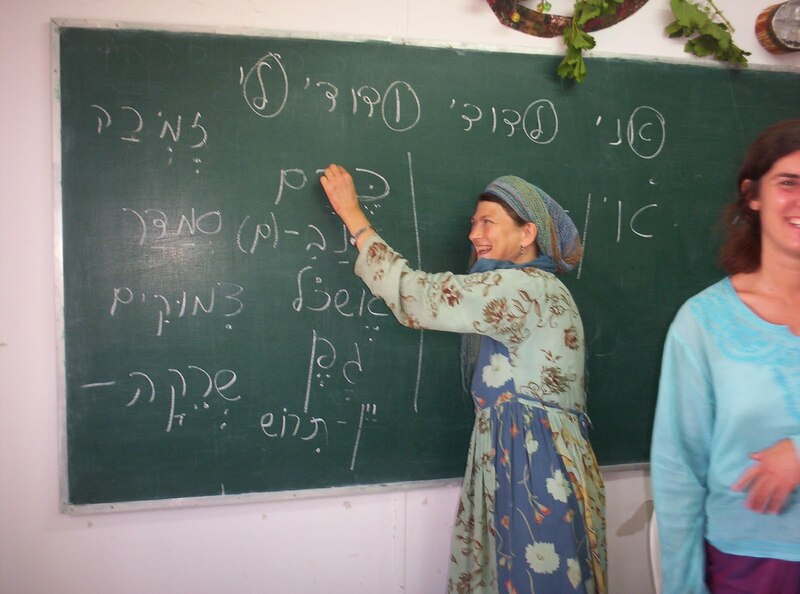 Please donate to Creative Torah Learning for Women on the Land in honor of Tub'Av and the birthday of Midreshet B'erot Bat Ayin. This week's haftorah is the first of the seven "Haftarot of Consolation," that we read on the Shabbatot (Shabbats) between Tisha b'Av and Rosh Hashanah. This section from Yesha'yahu begins with G-d's refrain to the prophets: "Comfort, oh comfort My people, says your G-d. Speak comfortingly to Yerushalayim, and cry to her, that her period of exile has been fulfilled and that her sins have been forgiven..." (Yeshaya'hu 40:1). Yesha'yahu's prophecy describes some of the miraculous events that we now see unfolding during the beginning of the Messianic era, such as the return of the exiles to Yerushalayim. We still await the revelation of G‑d's glory and power, the rewards and retribution, and the complete solace for Israel described in the haftorah. While the consolation in this week's haftorah is appropriate for the Shabbat after Tisha b'Av, it also has a hidden connection to the parashah – Parashat Va'etchanan which includes the Shema prayer. We have a tradition that the word Shema – שְׁמַע is an acronym for the beginning of the last verse of our haftorah. The first letters of the Hebrew words "Lift up your eyes on high…" (Yesha'yahu 40:26), spell out the word Shema – שְׁמַע. The phrase in Hebrew reads "שְׂאוּ מָרוֹם עֵינֵיכֶם" ("Se'u Marom Eineichem"). The continuation of the verse of the haftorah is "…and see who created all these…" This goes together with the lesson of the Shema prayer – to understand that Hashem is One and only Creator. When we look around the world we live in, some things make sense to us and some don't. We see so much violence and destruction. However, if we look to Heaven and understand that "Hashem our G-d is One," it will become clear that there is one Creator who made everything and causes all events to happen. The haftarah tells us to lift our eyes to see the same principle that we are told to hear in the parasha. We need to focus both our faculties of hearing and seeing on the oneness of Hashem. When we understand that He is the only power from beginning to end, then our questions are silenced. Rabbi Shimon Ben Gamliel stated, "Israel had no holidays as joyous as Tu b'Av and Yom Kippur, when the daughters of Jerusalem would go out and dance in the vineyards" (Mishna Ta'anit 4:8). What is so joyous about Tub'Av and Yom Kippur, that they are considered the happiest days of the year? There is nothing more joyous as after we have worked hard to earn our reward. After the 9 days of Av which symbolize all the suffering and toil of exile, the prophet promises us forgiveness and redemption. The holiday of Tub'Av is the hidden holiday of forgiveness and redemption. It begins the rise of the feminine "Arousal from Below," where we work hard to deserve Hashem's forgiveness and reward. On Yom Kippur, we purify ourselves to the highest degree through fasting and prayer. Then, we receive complete forgiveness from our current misbehavior, going all the way back to the sin of the Golden Calf. Likewise, on Tub'Av, we finally celebrate, after the 9 difficult days, when we worked on submitting our heart to Hashem through mourning the destruction of our Holiness, culminating on Tishab'Av with ashes, fasting and lamentation. Our mourning and suffering has cleansed us from everything that takes us away from un-holiness and the Land of Israel. Our suffering atones even for the sins of our forefathers, all the way back to the sin of the spies, who were afraid to conquer the Land of Israel. Like Yom Kippur, we receive the greatest gift of atonement, also on the 15th of Av. Therefore: "No days were as festive to Israel as the 15th of Av and Yom Kippur." Tub'Av is the time when the malchut (kingdom) of the Feminine Indwelling Presence of the Shechina begins to be revealed. This corresponds to the "Arousal from Below" and our Inner Lights, as opposed to the masculine "Arousal from Above" and our Surrounding Lights. The feminine malchut corresponds to Awe of Heaven and begins the period preparing for the High Holidays (in Hebrew Yamim Noraim – Days of Awe) when we crown Hashem King. Likewise the Land of Israel is also known to be the aspect of malchut. Therefore, women have a special connection with the Land. We prepare our vessels to hold the Inner Lights by crowning Hashem "King of the whole Land" with our entire physical being: Head, heart and liver. (In Hebrew the initials of these three organs Moach,-Brain, Lev- Heart, Caved- Liver spell out the word King -Melech). This entails working on ourselves in order to integrate the Torah into the very fiber of our being. Just hearing an inspiring lecture without the ability to give it over corresponds to Surrounding Lights or "Arousal from Above." Rabbi Refael Luria explains that "the daughters of Jerusalem" represents the malchut (kingdom) since the women are the embodiment of the malchut and the mainstay in the home. The reason why they go out in white dresses is to indicate that now begins the period of preparing the vessels and the garments, which must be white and pure, worthy for the Divine to dwelling. The circle dance in the vineyards creates the vessel for the Inner Lights, to become a vineyard of G-d. The vineyard also alludes to the Inner Lights, as the vine is found inside of the grapes. According to the religious practice of modesty (tzniut), today it is unacceptable for young women go out to dance in the vineyards, while young men watch, and choose whoever pleases them most. Therefore, our work is to tune into the inner quality of the women's circle dance by rectifying our Inner Lights by connecting with the land in tree-planting and praising Hashem through creative expression. Expressing our creative potential is the feminine mode of serving Hashem which will ultimately herald the geula. It requires getting in touch with the inner spark of the Shechina buried deeply within each of us and giving birth to it through our personal artistic expression in music, art, poetry, dance etc. Through expressing our creativity we integrate our Torah and become a channel for Hashem's Shechina to shine through us. In Midreshet B'erot Bat Ayin, women work together side by side, day after day, sharing insights, dreams and visions. We develop our intuitive femininity, learning from mothers, caretakers, visionaries, peacekeepers, teachers, guides, healers, and mediators. We strive to become wise and loving women knowing that our fundamental task is to maintain harmony and balance within our homes, community and the larger world. Through rectification of our Inner Lights we can engender spiritual transformation, and radiate the inner light and subtle power of "The honor of the King's daughter" (Tehillim 45:14). "In the merit of the righteous women" and with G-d's help, we will merit the building of the Divine Home and the complete redemption.